Mrs. Forrest is my 92-year-old neighbor. She likes Danielle Steel novels, Jesus Christ and basketball (though likely not in that order) and this recipe was originally created for her. 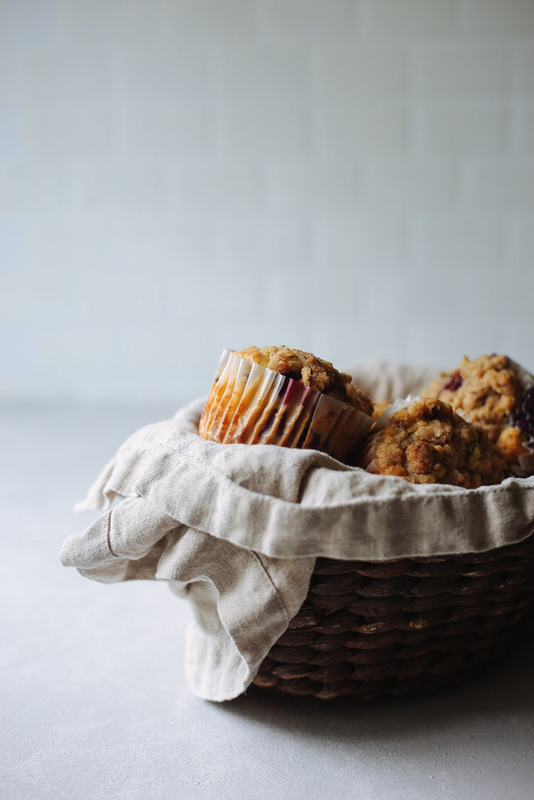 I imagined we'd share a basket of these muffins together while talking about neighborly things, like the lighting bolt that hit her tree and set my car alarm off or the pesky armadillos roaming the area. But alas, I learned that Mrs. Forrest "doesn't much care for blueberries" after-all. And while I still don't really understand how someone can be blueberry-averse, this little fact somehow made me like her even more. Because straight-shooters are hard to come by in the South and I've always liked an honest woman. We managed to enjoy our afternoon despite the anti-climactic muffin moment and like any good millennial, I went on to share them with others in search of praise. And four batches later, I declared these Lemon Blueberry Muffins ready for the blog. 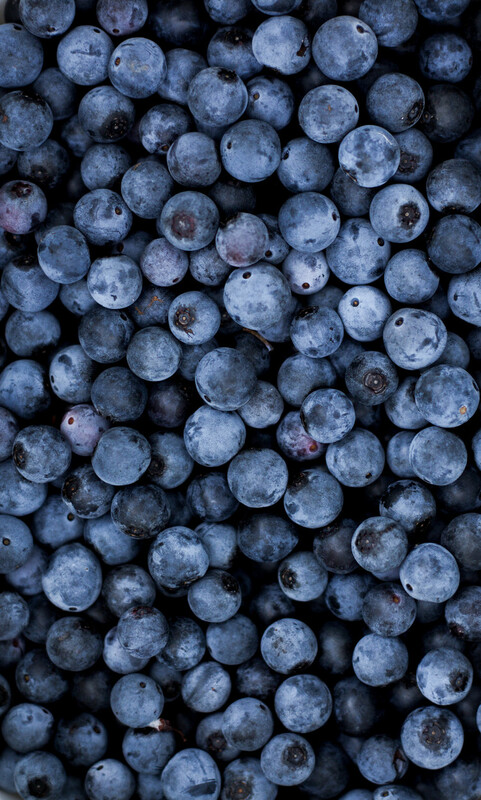 But first, the blueberries. Ever year, my friend Jena and I head out to the country to fill our pails with blueberries to freeze for the fall and winter, though they rarely last that long. Last year, our adventure inspired a blueberry galette to polish off our blueberry-themed dinner party. This year, I wanted to create a classic recipe for lemon blueberry muffins and give them a bit of a twist with a cardamom, walnut crumble topping. Cardamom and blueberries go so well together and I love how the subtle, lemony batter creates the perfect foundation for the plump berries to burst in the oven. The crumble comes as such a surprise, giving each bite a nutty, lemony, perfectly spiced mouthful. I think you’re really going to love them! Wash thoroughly before freezing, and let dry completely. Place berries in a single layer on a baking sheet and let freeze (about 2 hours). Once frozen, pour them into a large ziplock bag and store in the freezer. First, prepare the crumble topping. Place the flour, sugar, cardamom, salt and walnuts in a bowl and stir to combine. Then, add the cubed butter and mix together using your fingertips to create a crumble. Place the bowl in the refrigerator while you prepare the batter. Next, preheat the oven to 425 degrees F. Line your muffin pan with 12 baking cups. Then, whisk the dry ingredients together, combining the flour, baking powder, baking soda and salt. Set aside. Then, prepare your wet ingredients. Place the brown sugar, eggs, vanilla, greek yogurt and lemon zest in a bowl and whisk to combine. Then stir in the lemon juice. Create a well in the flour mixture and pour the wet ingredients into the dry ingredients. Whisk until just combined and be careful not to overmix. It's okay if you see a few flour streaks here and there. Then, add in the blueberries and use a spatula or spoon to gently fold them in. Fill each baking cup 3/4 of the way full with batter. Then, use a spoon or your hands to sprinkle the cardamom mixture overtop. Bake in a 425 degree oven for 15-17 minutes, rotating the pan after about 10 minutes. The muffins are fully baked when a toothpick inserted comes out clean. Let cool in the pan for five minutes and then transfer to a cooling rack (this will prevent the bottoms from becoming moist).